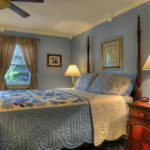 A 5 guest room B&B this successful is a rare find. 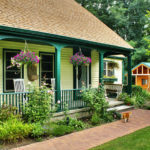 Centrally located amid New York’s Finger Lakes, Los Gatos B&B is financially very strong with great owner’s quarters and real expansion options. 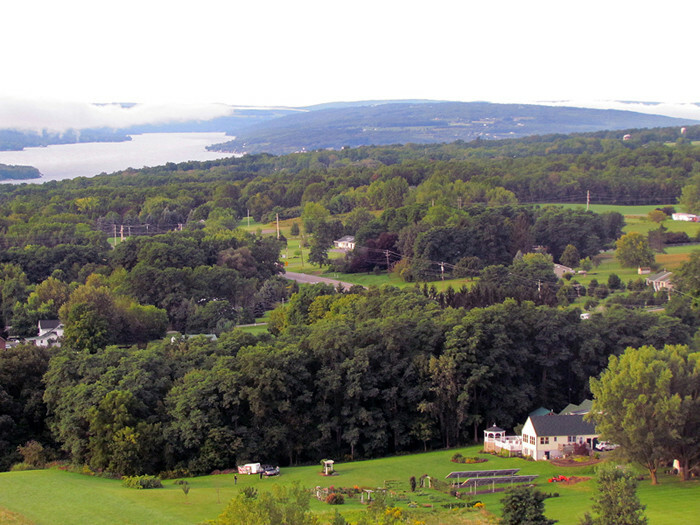 Los Gatos Bed & Breakfast is a remarkable Finger Lakes B&B Gem for sale. 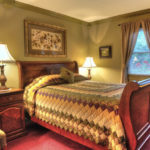 A 5 guest room B&B this successful is a rare find. 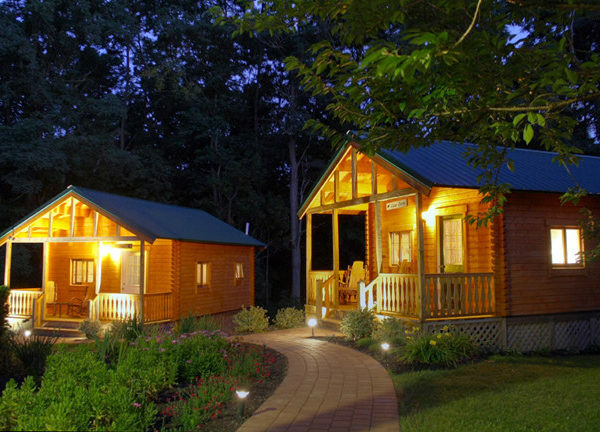 To begin with, it is financially very successful. 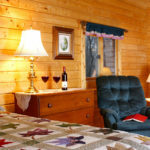 It is located in the middle of a great travel destination. 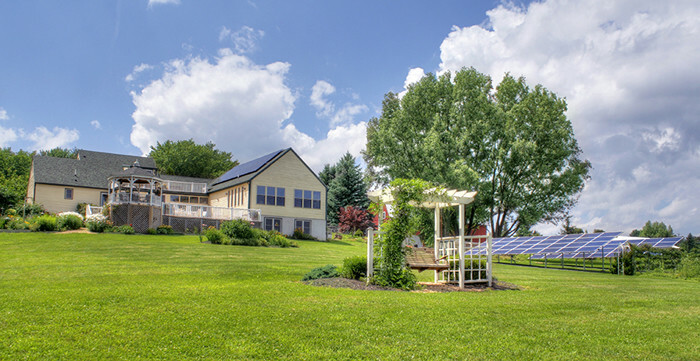 And, it has real expansion capability. 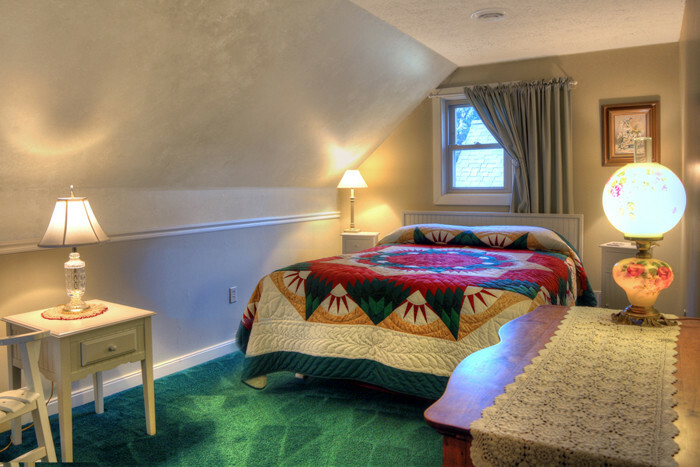 Then, there are the attached owner’s quarters – spacious and desirable. 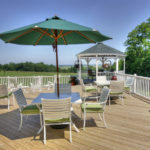 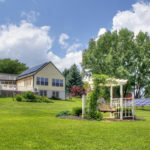 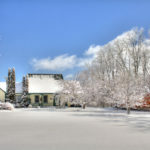 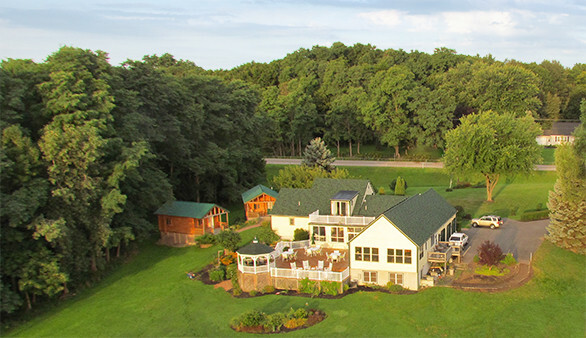 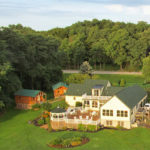 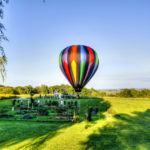 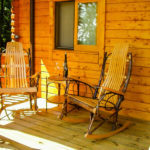 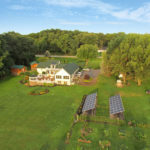 Los Gatos Bed & Breakfast is located between Seneca and Keuka Lakes, in the geographic heart of the Finger Lakes region, where tourism flourishes. 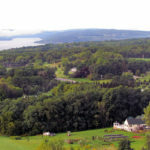 Wine production flourishes here as well, adding to the area’s allure. 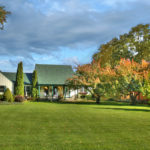 Los Gatos is minutes from myriad Finger Lakes attractions, restaurants, wineries, museums and lake activities. 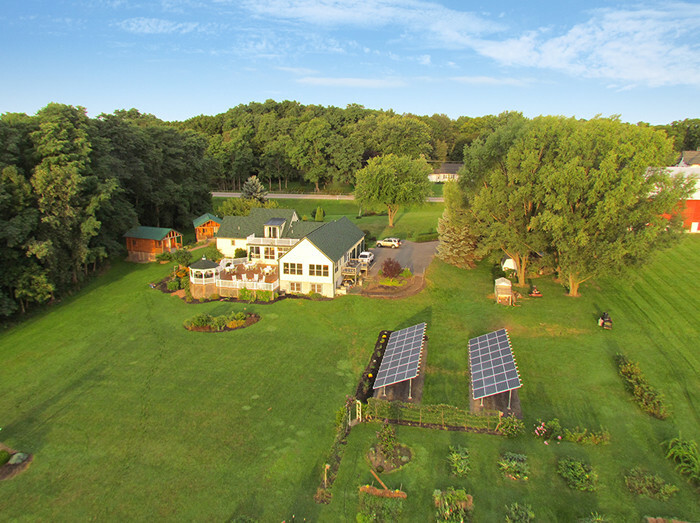 This Finger Lakes B&B Gem for sale sits on 6+ acres of meadows, woods and gardens, two miles from the village of Penn Yan. 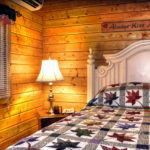 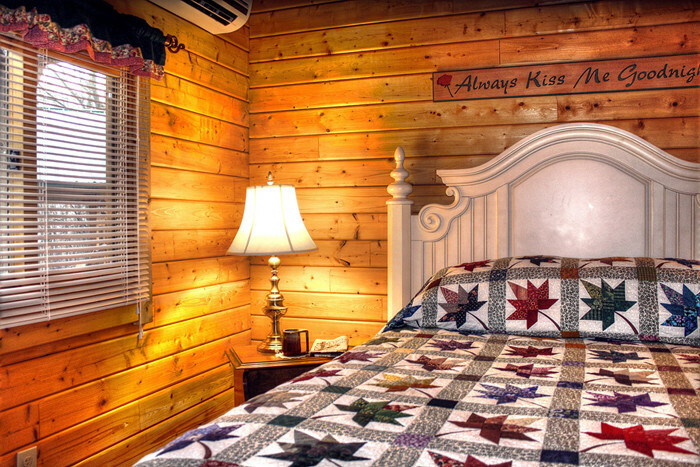 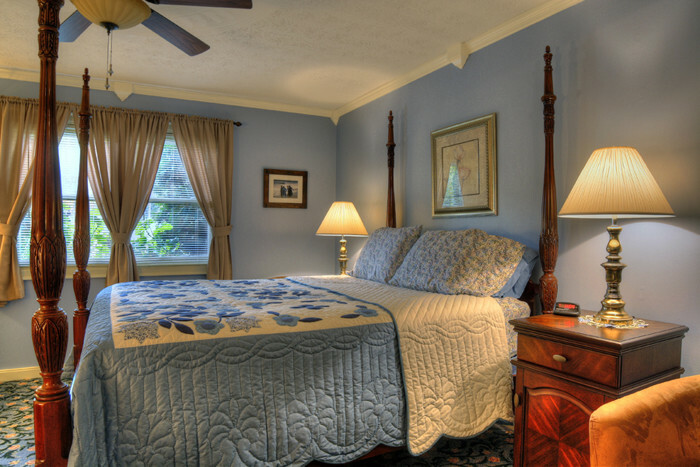 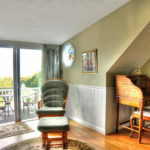 The main inn is a country home encompassing three guest rooms, multiple common rooms and the inn’s full kitchen. 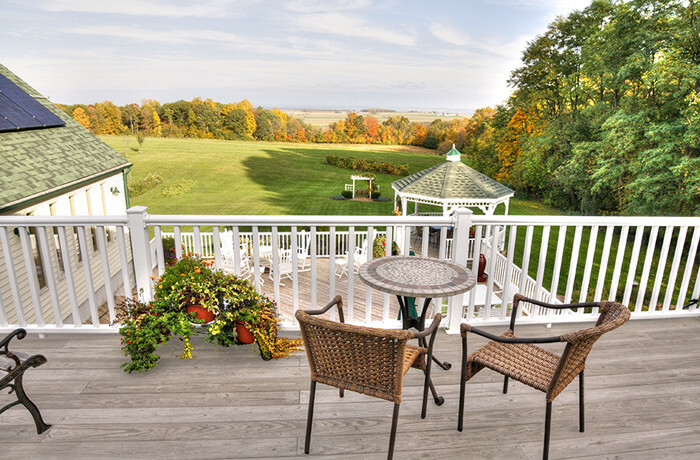 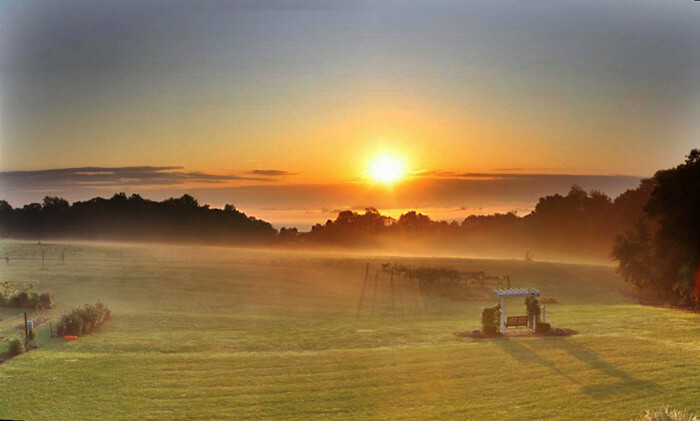 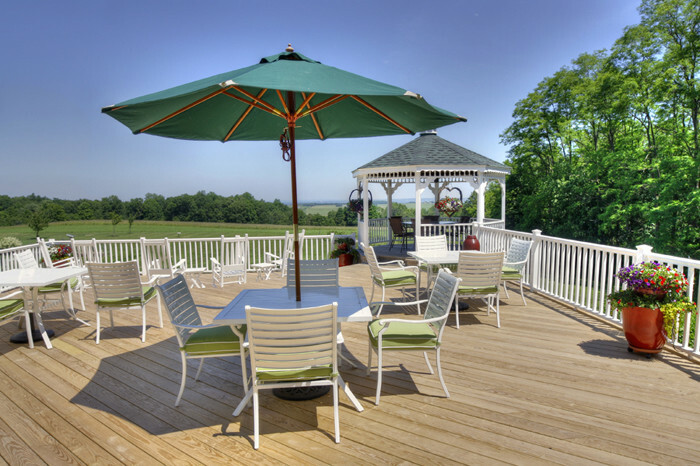 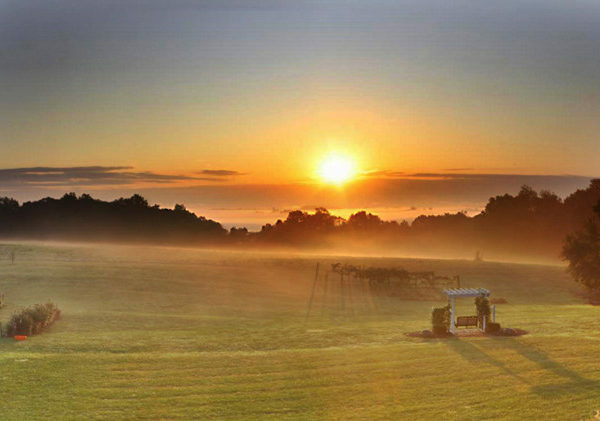 An enormous deck overlooks the rolling countryside, with distant views toward Seneca Lake. 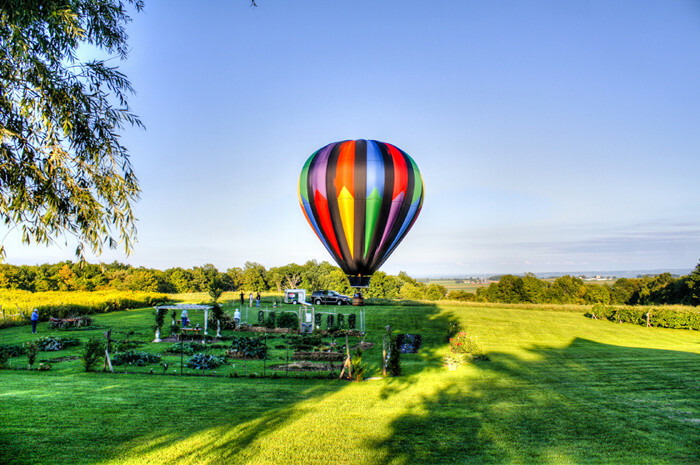 Ingenious gardens engage and delight guests. 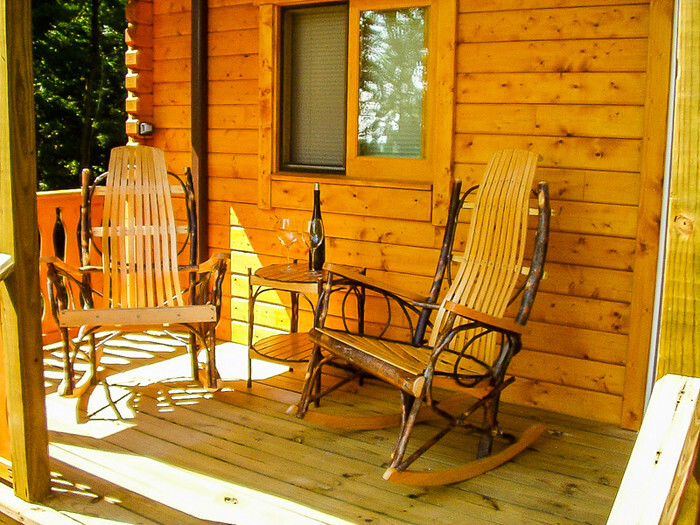 Two rustic guest cabins sit at the edge of the woods, a few steps from the inn. 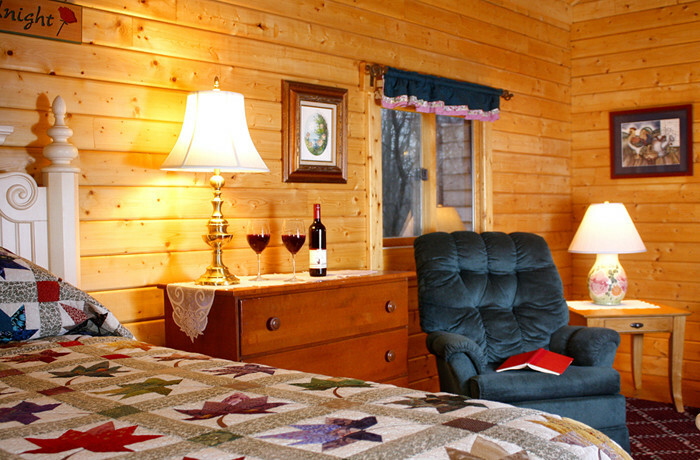 All five guest units are spacious and amply furnished with queen sized beds, fireplaces, flat-screen TVs and comfortable sitting areas. 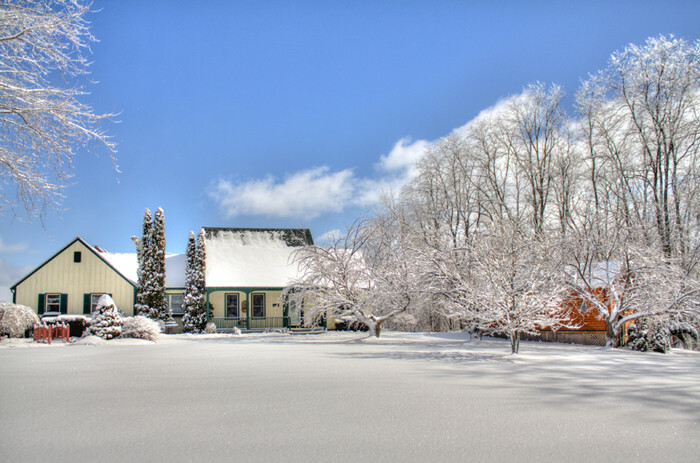 The owner’s annex provides 1350 ± square feet of living space including a full kitchen, dining area, large living room, master bedroom, adjoining study and 1 ½ bathrooms. 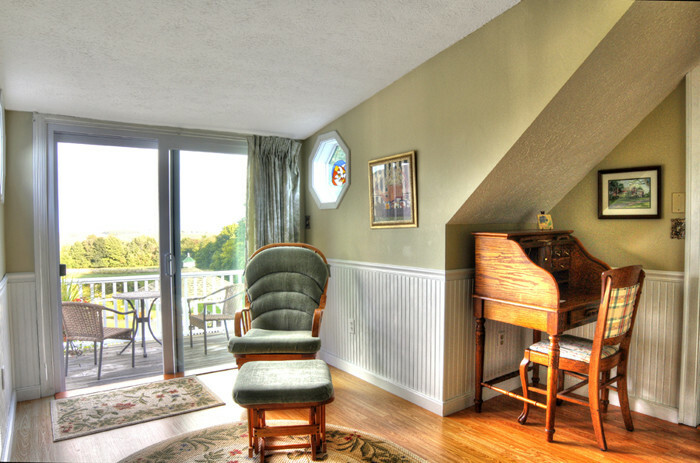 Large living room windows maximize views across the valley. 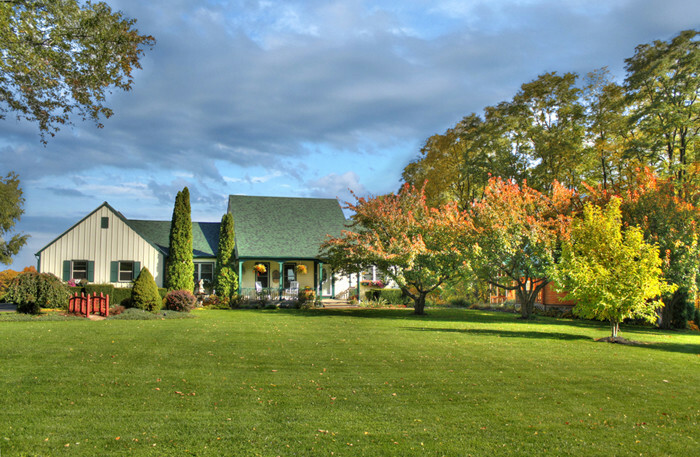 An attached three bay garage provides plenty of storage and workshop space. 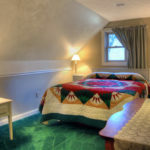 Ratings on travel websites are consistently excellent (#1 of 13 B&Bs in Penn Yan on TripAdvisor). 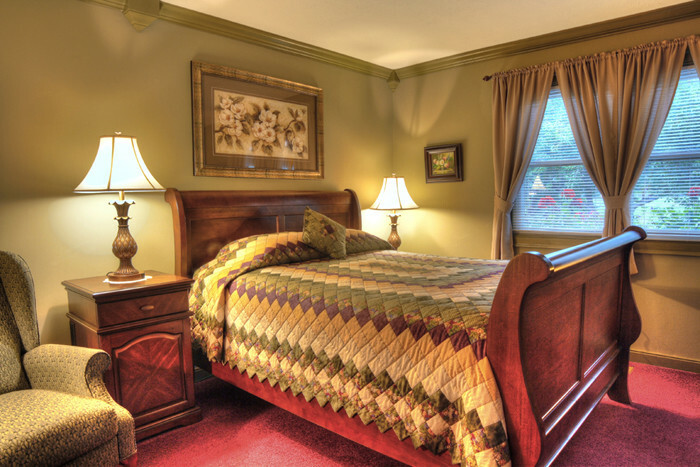 The inn is open year-round and achieves high occupancy. 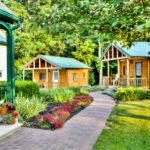 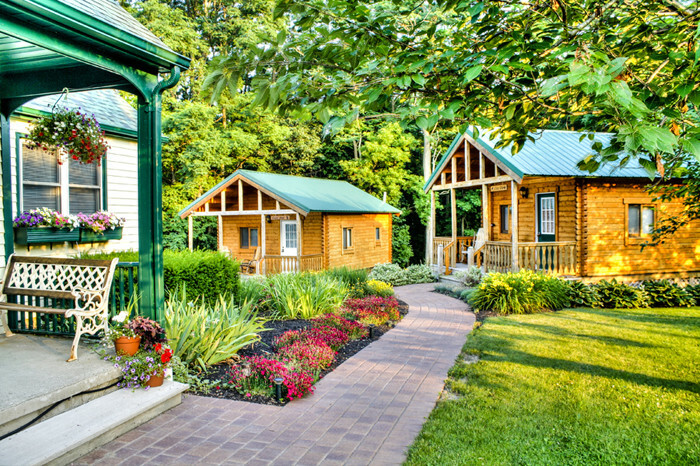 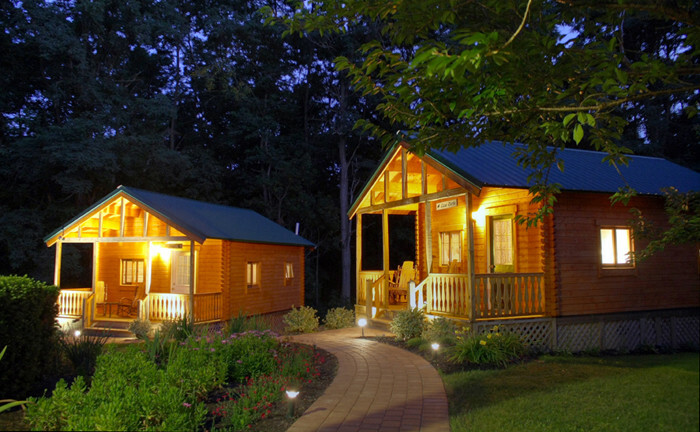 Under existing zoning, new owners have the option of adding more cabins. 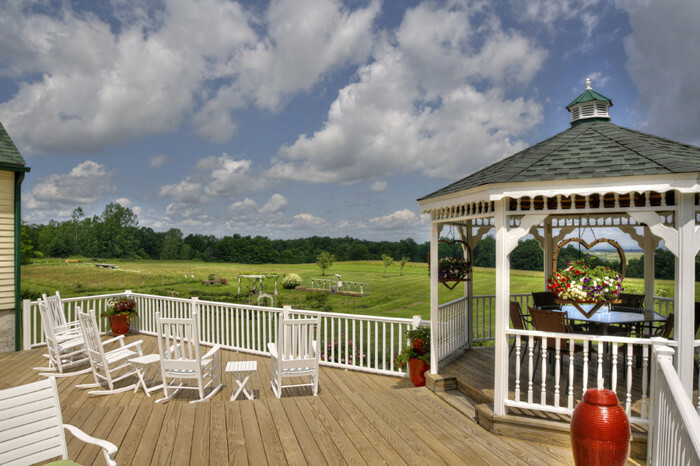 All the elements of success are in place and point to a great future for new owners. 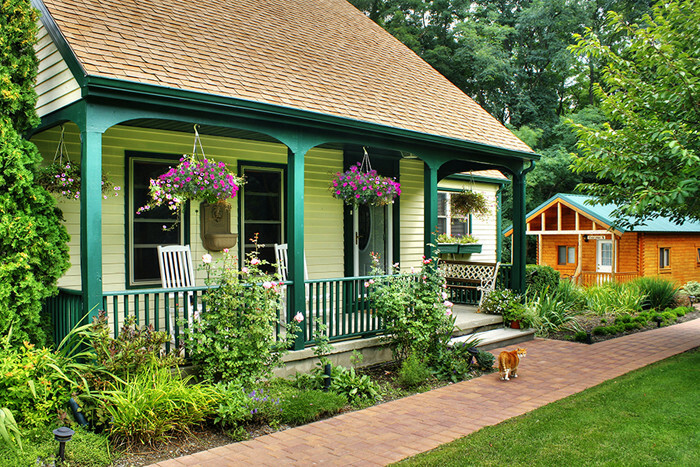 Arrange a visit to this fine Finger Lakes B&B Gem for sale soon!